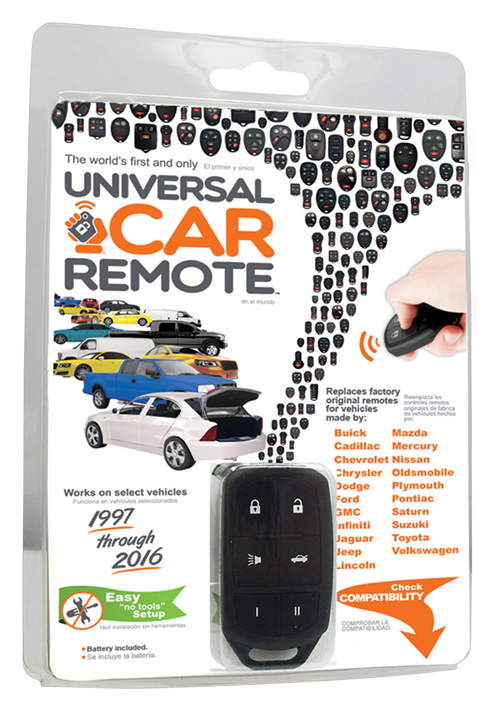 WORKS LIKE A UNIVERSAL TV REMOTE, BUT IT’S MADE FOR CARS. Two remotes cover 98 million cars on the road today. 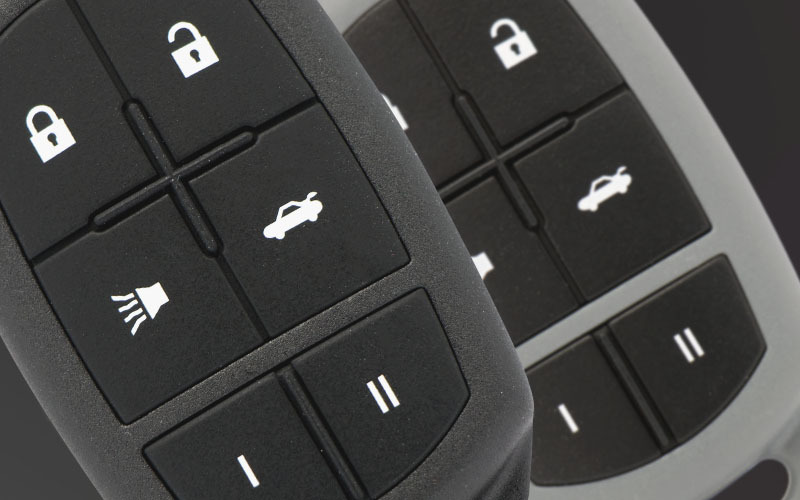 This device controls the remote keyless entry systems for thousands of automotive makes and models. These “do-it-yourself” devices require no tools to set up, and compatibility is printed on packaging to allow customers to self-evaluate without staff assistance. 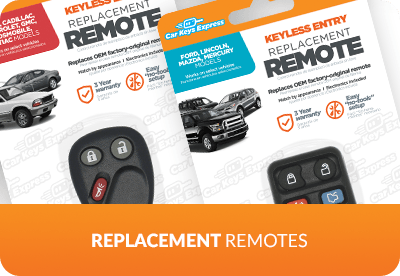 Enter the multibillion-dollar aftermarket key replacement industry for a minimal investment. 21 major car brands represented. 19 years of vehicles covered (1997-2016). 16 of the top 20 most popular vehicles covered. MAXIMUM APPLICATIONS. MINIMAL SHELF SPACE. Stock two SKUs instead of 372 OEM remotes. 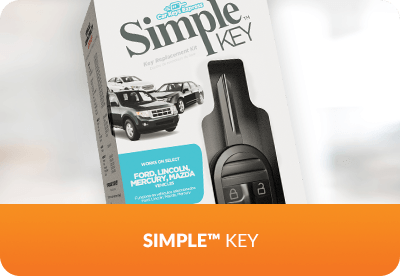 Our award-winning, patented universal key technology makes it possible. 13 years of vehicles covered (1999-2002). We’re leveraging the newest technologies to create solutions for modern automotive key replacement. We’ve assembled a world-class team of gifted innovators to develop unique, proprietary technologies that bring key replacement back to retail. 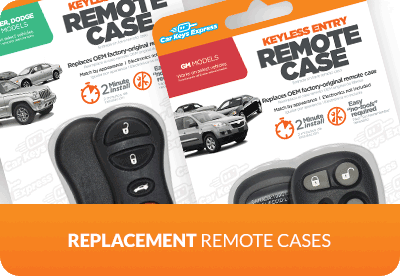 A turn-key program provides the tools, keys, training, and support to sell key replacement for modern vehicles at retail. CLICK HERE TO SEE OUR FULL LINE OF RETAIL SOLUTIONS.